So begins the hardest night of the hardest working man in snowbiz (sorry). 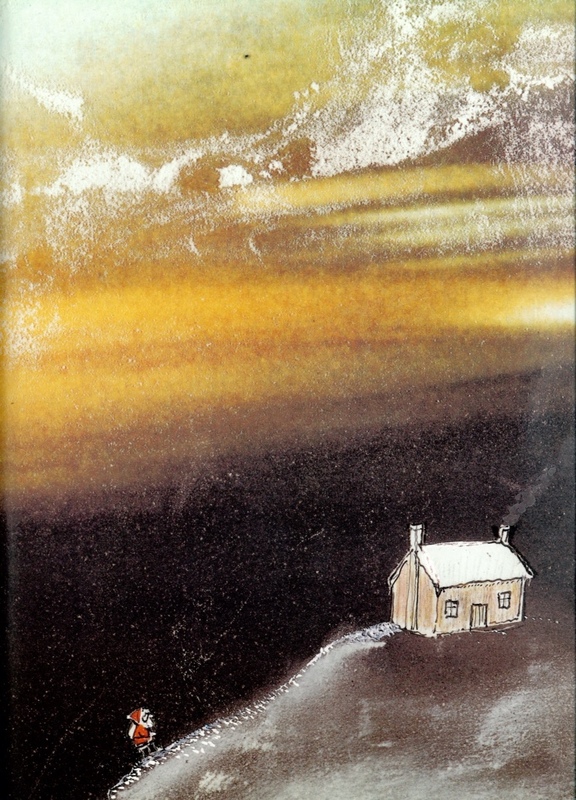 Father Christmas must deliver his final gift to Harvey Slumfenberger, the poor boy who lives at the top of Roly Poly Mountain. 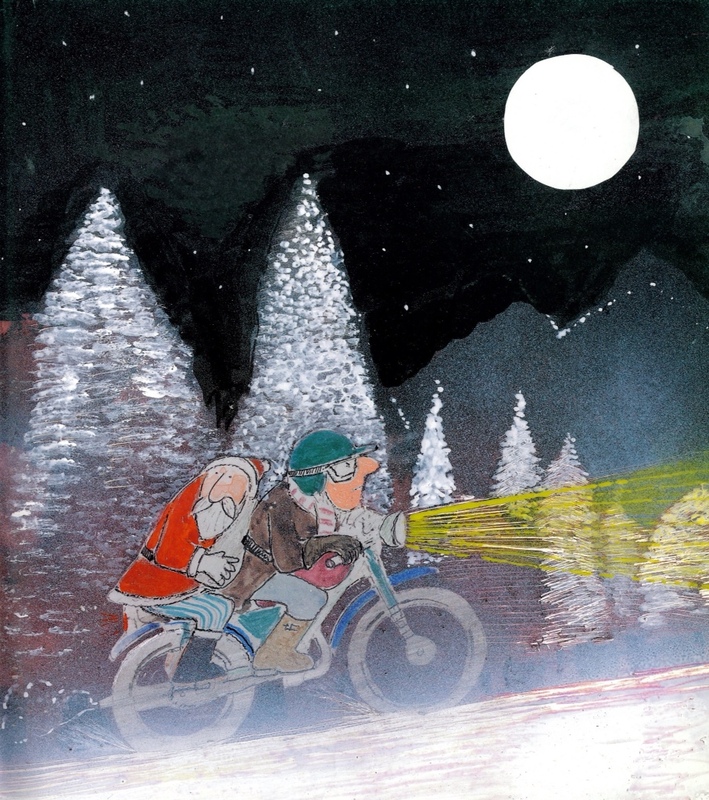 In this Christmas title John Burningham follows the pattern of his most loved stories for children, taking our hero on a journey that is scattered with a cast of helpful individuals through stunning, painterly landscapes. So we see Santa set off through panoramic vistas of the slowly waking world, travelling by plane, motorbike, skis and finally ropes to the top of the elusive mountain. 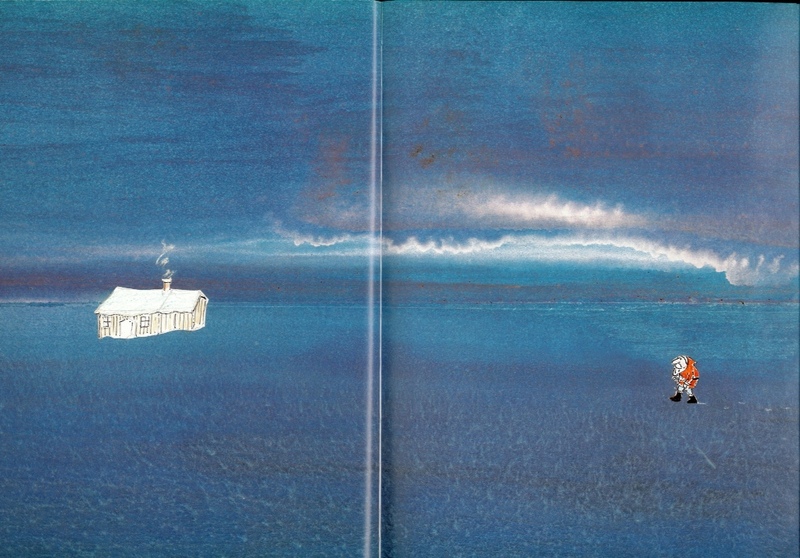 It gives Burningham ample opportunity to fill entire spreads with great splashes of colour, light and in the most striking scenes, entirely black ice and snow. 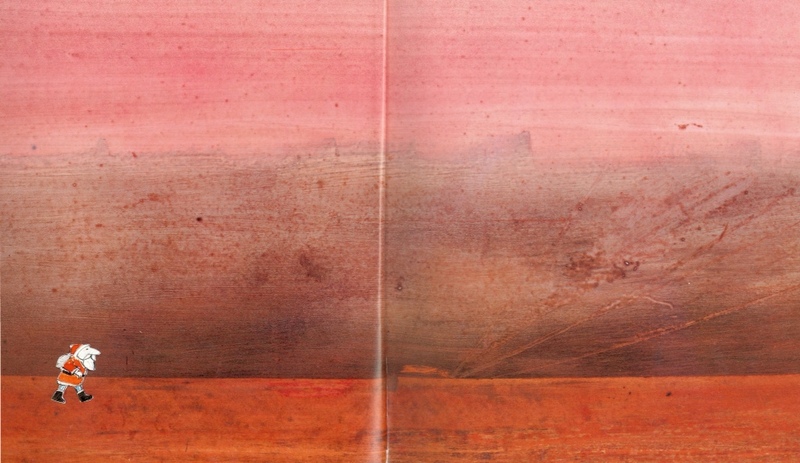 Burningham's approach to creating scenery is quite uncompromising 'I am not trying to make a landscape that children can understand. I am just making a landscape' he has said. 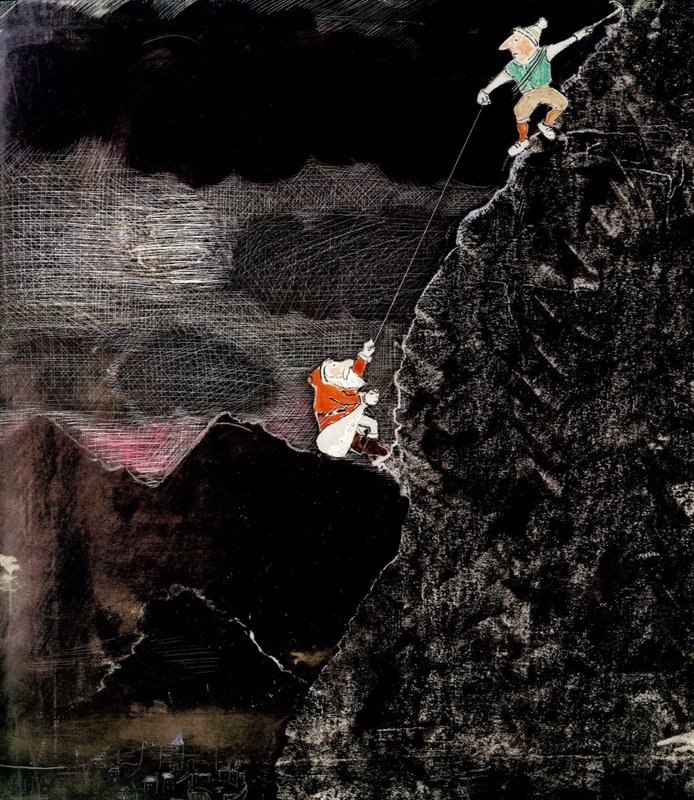 These impressionistic scenes are perfectly suited to Christmas Eve and the impossible task faced by Father Christmas, who is often pictured as a tiny speck against the vast landscape. I love how Father Christmas becomes visibly more weary as the night wears on. When he finally does near home, his knees are giving way and his back is painfully stooped. But as the final, wonderful image shows, it's been worth every step. 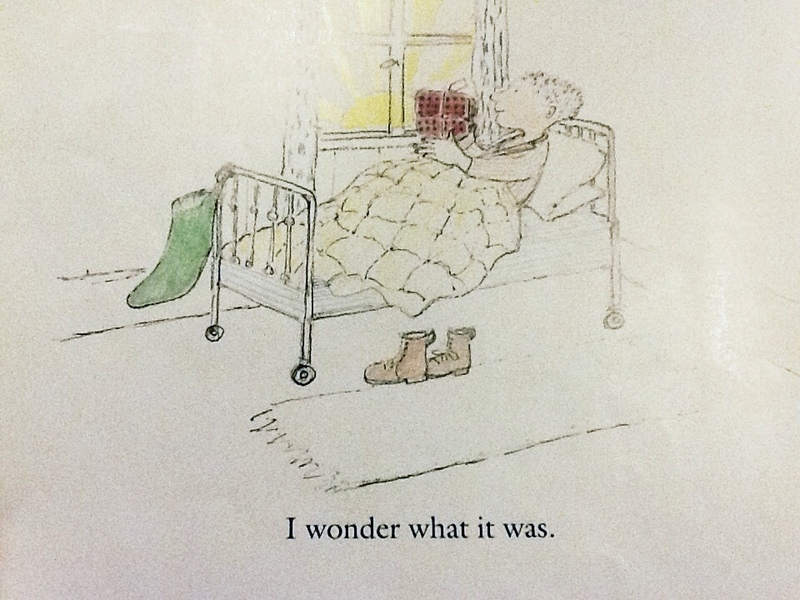 Tags: Harvey Slumfenberger, John Burningham. Bookmark the permalink.